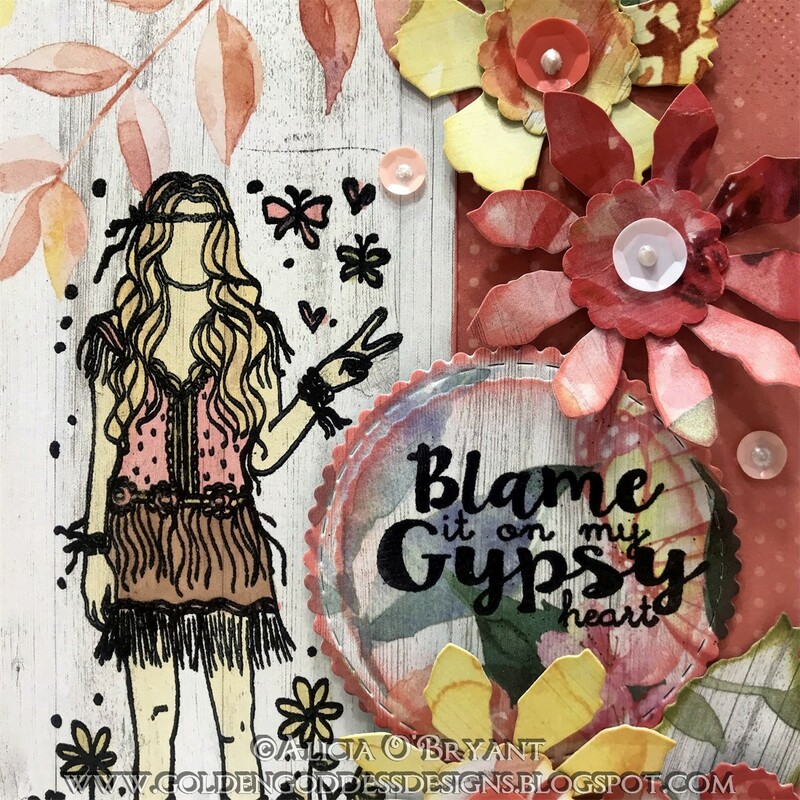 Blog Quick Quotes: Gypsy Heart with Alicia! Hello, Alicia here today to host the blog and share a bit of stamping and water color inspiration. I have been playing with the latest 2018 PowderPuff Chalking Ink Set. I love to use a water brush to color an image with the inks. I recently won this image and I could not have found a more perfect piece of paper on which to stamp it. This sheet is from the new Spring Showers collection as are the floral die cuts I created. Here I am coloring my image. I stamped and embossed the image to withstand the water I will be using. The raised edge also helps to contain the ink within the proper place. I usually paint several layers depending on the intensity of color I desire. Quick Quotes papers hold up to the many layers and water as well. I finished my card off with stamping and embossing the sentiment to match. 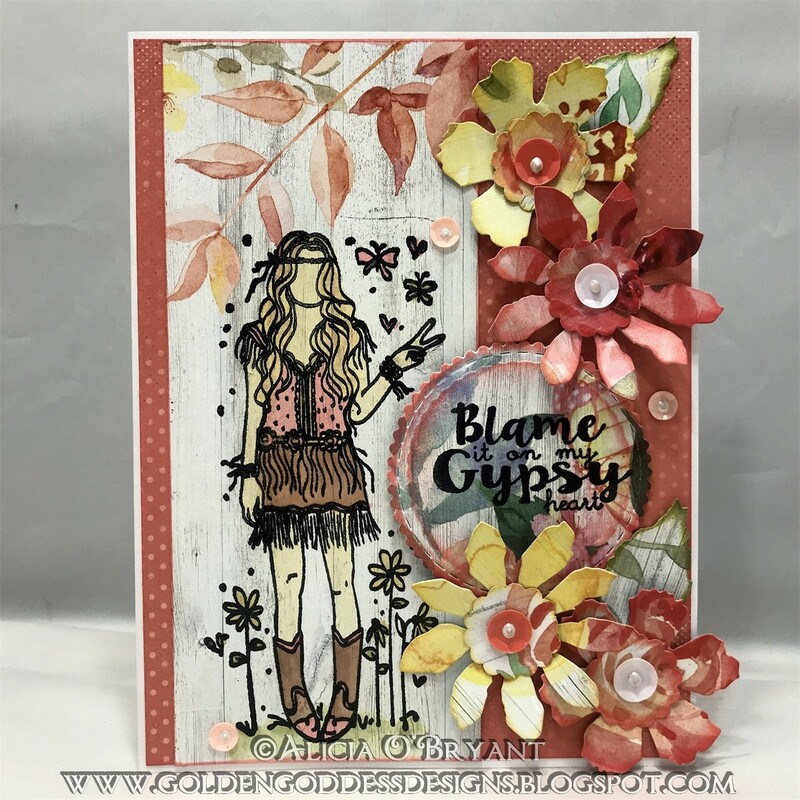 I die cut the sentiment and added some die cut flowers. I used sequins in the center of my flowers as well as sprinkling a few among my flower border. I like to finish off my sequins with a dot of pearl drops to cover the hole. I think it just looks so neat. 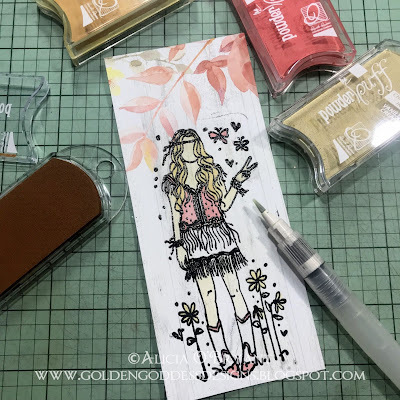 I hope you try using the latest 2018 PowderPuff Chalking Ink Set or any of your Quick Quotes Powderpuff Chalking inks to water color. The results are beautiful.